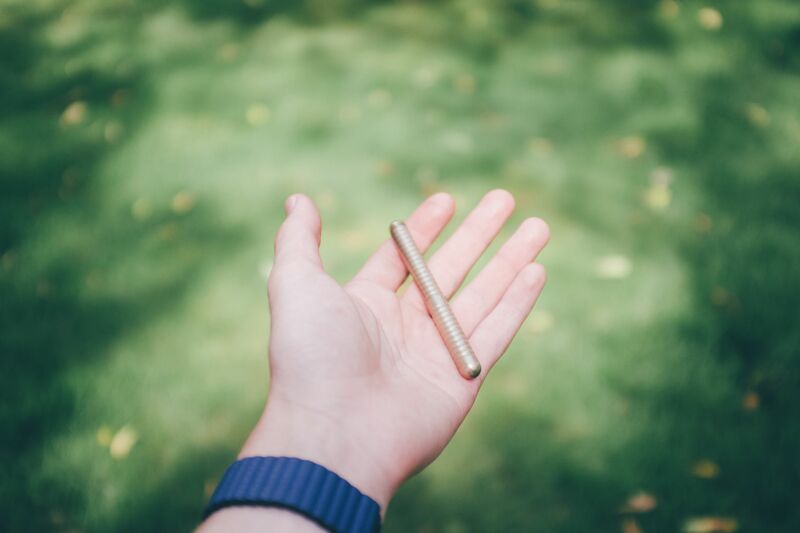 Kaweco nailed a perfect balance with the Liliput's writing experience, design, size, and overall build quality. When I went looking for my second fountain pen, I knew it had to be something portable. I’d previously bought a Lamy Safari and had fallen in love with using it in my Field Notes that I carried everywhere, but the Safari wasn’t quite the right pen for the job. It was too large to comfortably fit in a pocket, it could be occasionally prone to leaking, and it’s plastic build – while sturdy – could have posed problems if sat on in just the right way. For my next fountain pen purchase I knew it had to be something different — something specifically made for the rigors of life. I didn’t have to look far to find out Kaweco was one of the better brands. Their classic Sport model has been one of the most popular and iconic portable fountain pens for over a century now. While I was browsing around their website though, I stumbled upon something even more portable and refined than even Kaweco’s Sport model: the Liliput. 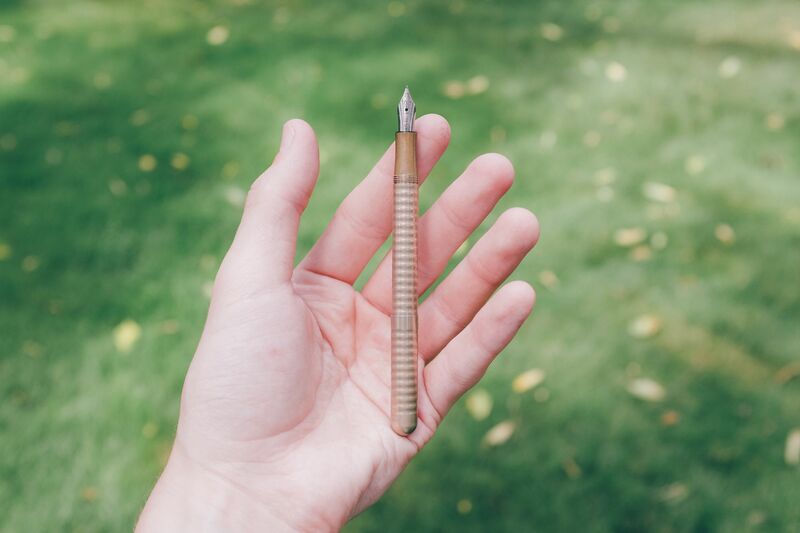 Only 97mm long when capped and made from durable metals, the Liliput is a small fountain pen and can still take standard Kaweco nibs and ink cartridges. It was the most refined portable fountain pen I could find. Even though its very concept had some risks and tradeoffs associated with it, I took the plunge. The brass Kaweco Liliput amongst some new and old Field Notes. This was around five months ago, and in my time with the Liliput I’ve come not only to appreciate some of those tradeoffs as benefits, but I’ve come to realize that its raw size, materials, and writing experience all make what could be just about the perfect pen to carry and use daily. When capped, the Liliput is very small and very portable. 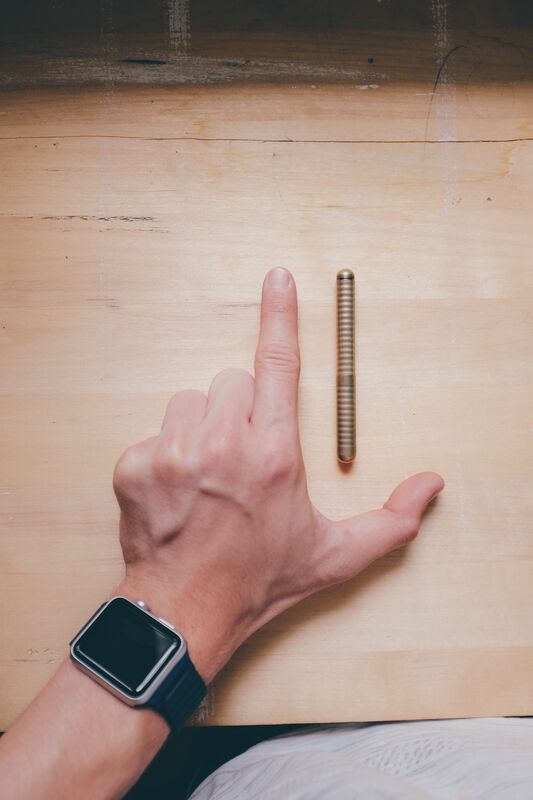 When examining the Liliput’s design, it all comes down to it’s size. Every detail has been shaved down to the bare minimum to make two things possible: fit standard Kaweco nibs and ink refills, and be just large enough to comfortably write with. When compared to other fountain pens, like the Lamy Safari, the Liliput looks tiny. As such, I think it makes sense to begin with the Liliput’s size. Essentially, it’s incredibly small. As mentioned earlier, the 97mm-long body makes the Liliput minuscule, reaching only just past my index finger. The Liliput’s minuscule size is great for portability, but you need to be aware of its location at all times. Losing a pen like this is too simple. 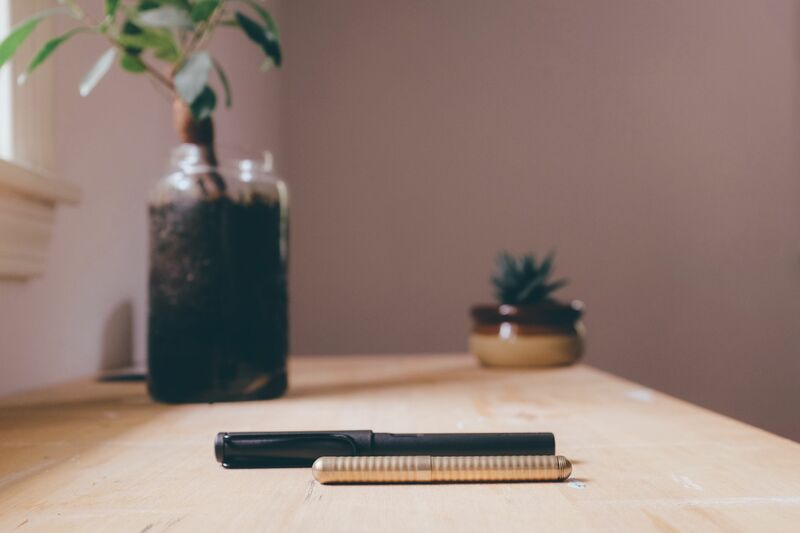 With such a small pen, one might wonder how it could possibly be comfortable to write with — this is where the Liliput’s trick-up-its-sleeve (and first tradeoff) come into play. 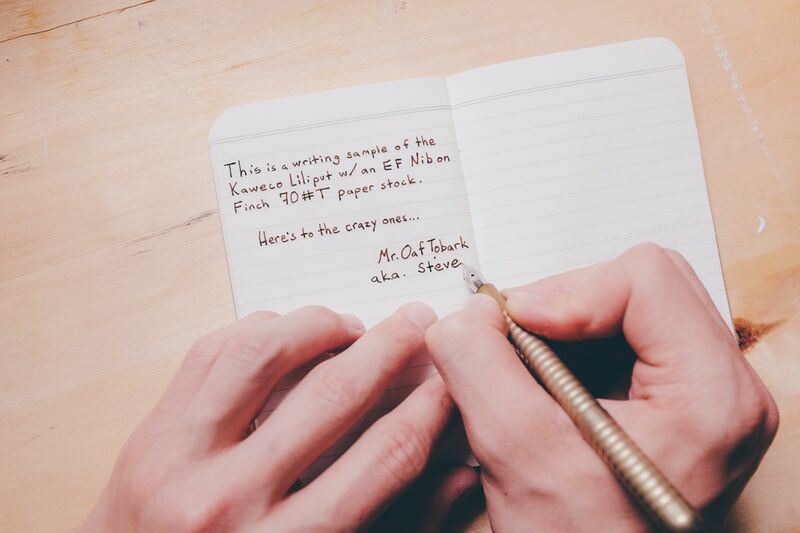 Every time you want to write with the Liliput, the first thing you have to do is post the cap. 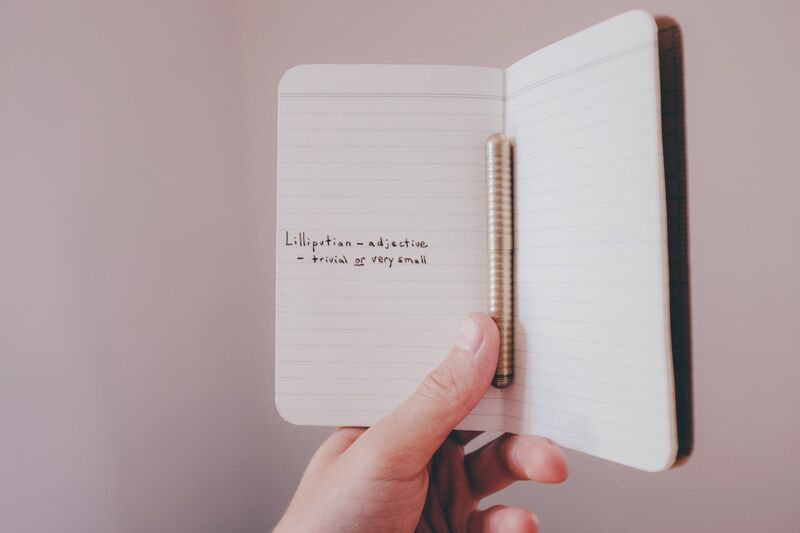 This adds just enough length to make the Liliput reach to where it’s comfortable to write with, but also requires a little more time and effort between a raw idea or urgent note and the physical act of writing. The Liliput needs to be screwed shut for a safe — and splotch-free — trip. 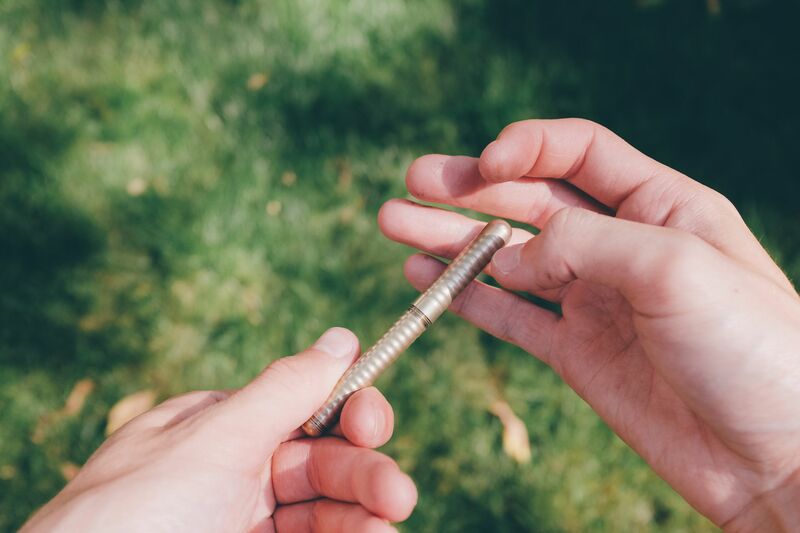 The Liliput uses a screw-on cap design, so readying the pen takes a couple seconds to unscrew the cap before then re-screwing it onto the end of the pen’s body. This does sound grating at first, and I was worried when I received my Liliput that I’d grow tired and annoyed with having to dedicate a couple seconds to fiddling with some tiny screws. Instead, the opposite is true. Now several months into using the pen, readying it has become so second nature that I can do so without looking or even thinking about doing so. And when I do think about it, I usually find myself thinking of it more as a small ceremonial ritual before committing an idea or task to ink. It’s a lot like hand-sharpening a carpenter’s pencil or setting up an artist’s paint palette. 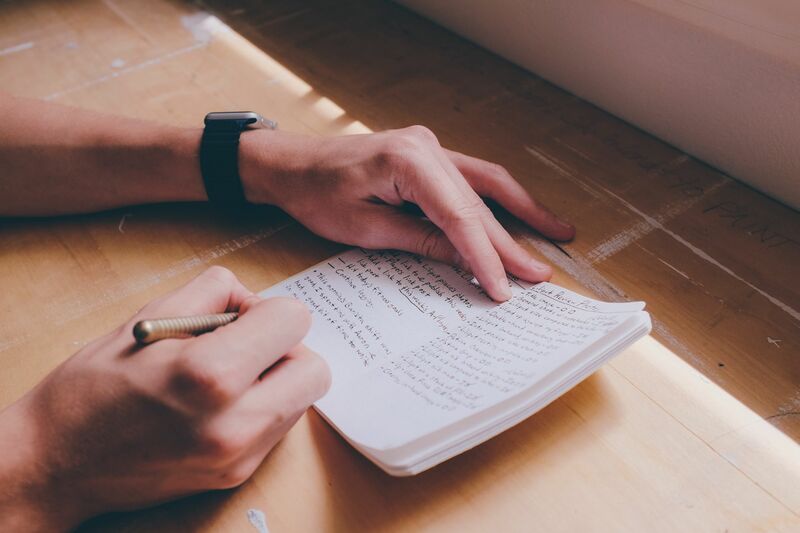 It may not be the fastest available option, but that little bit of extra time can sometimes make the difference between a further-formulated thought and a rushed scribble. The Liliput is a truly pocketable fountain pen and sets the portability bar like the Fisher Space Pen did for ball point pens. 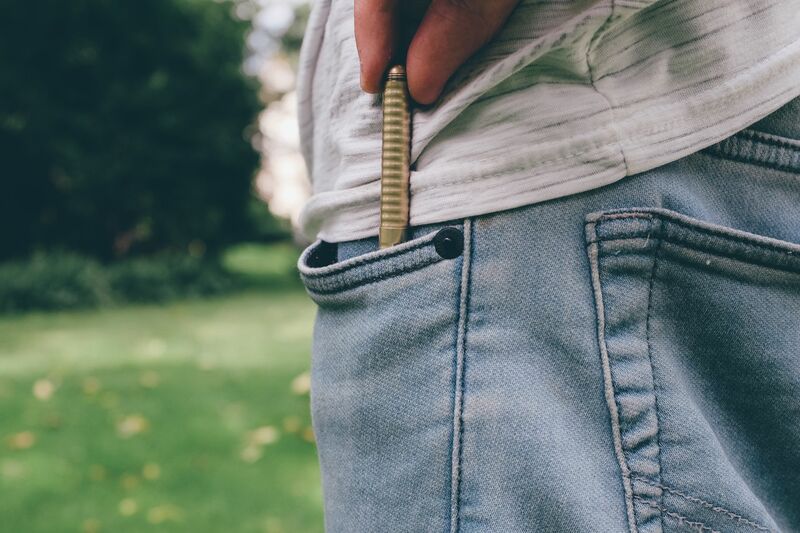 This screw-on cap design also makes the Liliput feel secure in the pocket when fully tightened. This is important when talking about a pen which will be with you and on your person no matter the situation. I’ve carried the Liliput in jeans, dress-slacks, a camping backpack, and my ONA Prince Street messenger bag all without fearing any of them would end up drenched in ink. 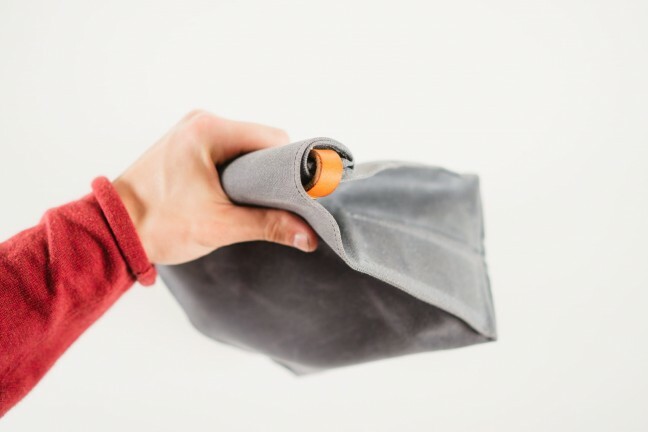 Further adding to that reliability in the pocket are the Liliputs constructed materials. I personally own the Brass Wave model of the Liliput, which comes fashioned from brass. But there are a variety of metal options, from the standard aluminum, to copper, and even the hand-fired-steel Fireblue finish. Despite it’s small size, the Liliput (especially the brass model) is dense and heavy. This build helps give it the strength it needs to handle the rigors of everyday carry. The net effect of these materials is that the Liliput feels substantial and dense despite its small size. While the brass model is a little heavier than the aluminum bodies widely available, those models have still been described as hearty by many people across the web, and I’d bet money that they’re just as durable and well-made. A gorgeous patina develops over the Liliput’s brass body after lengthy use and the patina helps give the Liliput an unparalleled level of character. There is one reason I’d recommend taking a good, hard look at one of the brass or copper models over the standard aluminum, and that’s how the pens wear over time. This may not be for everyone, but as I’ve used my Brass Wave Liliput over the months, it’s developed a gorgeous patina. This classy patina develops most prominently in the grip section. 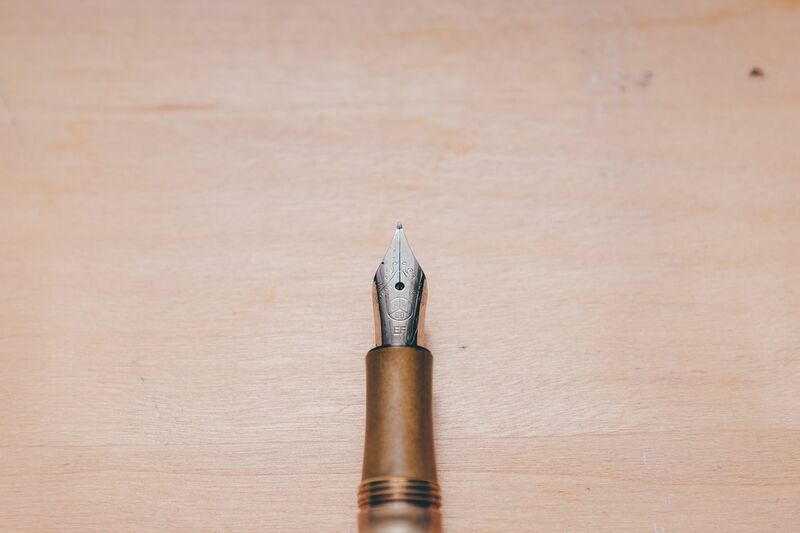 Wear is especially visible on the pen’s grip section, but a fine layer of patina has formed all over the body. It’s entirely possible to return the pen to a like-new appearance with a little polishing and new laquer, but I find that I’ve come to appreciate the Liliput’s well-loved look. If that’s something you think you might be interested in, the copper or brass Liliput models might be worth a second thought. The one other concession to the Liliput’s build is, due to its small size and lack of clip, it’s a little easier to lose than a larger pen would be. I’ve had mine slip out of a pocket a couple times, but thanks to a combination of luck and dedication to keeping track of personal belongings, I’ve managed to find it before it was truly lost. I’m pretty careful most of the time, and I’m still using mine happily almost half a year later. Looking at the build overall though, I’ve been consistently impressed with the Liliput. 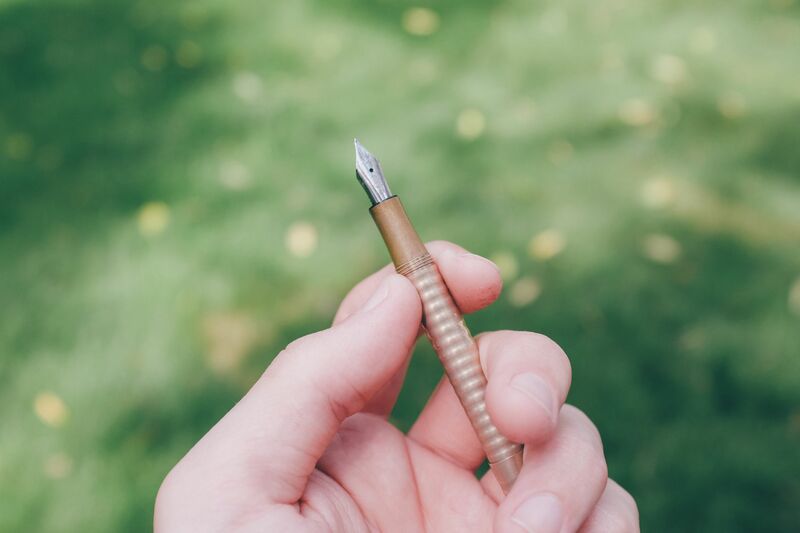 From its surprisingly comfortable length when posted, to the quality materials, and threaded closure, the Liliput is a delightful pen to use . It’s the very bare-necessities of a fountain pen, but Kaweco focused on the right details to refine the Liliput and it shows in use. So the Liliput is well made portability-wise. 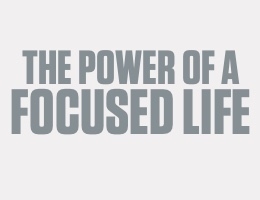 But what good would that do if the pen didn’t deliver on a quality writing experience as well? First up in that respect is the Kaweco’s nib. The Kaweco Liliput has become my go to everyday carry pen and writes in my go to Field Notes with ease. When ordering the Liliput, you have the choice between extra-fine, fine, medium, broad, and double-broad nib options. Kaweco has been making nibs as long as they’ve been making fountain pens, and while there are rare cases of manufacturing defects â as there are with almost every nib maker â I’ve had no issues with mine. My nib is Kaweco’s extra-fine size made from stainless steel and has performed admirably with everything I’ve thrown at it. The extra-fine size of the Liliput’s nib doesn’t yield an overly thick line, which is how I prefer my line-weight for writing. There’s a small bit of flex in the nib, but due to the pen’s small size and how hard you have to press to get any line-variation, I can’t recommend implementing it in practice. As a side note, the Kaweco’s nib is more visually adorned than my previous Lamy Safari’s nib. If you look closely, you can spot some small swooping etchings, the size denotation “EF”, the Kaweco logo, and the near-invisible “Germany” and “since 1883” bits of text. The Liliput’s nib has intricate etchings and looks more striking than my previous Lamy Safari nib. On a more modern looking pen, this sort of garnished nib might find itself out of place. However, I think Kaweco has designed the Liliput and their brand with just enough of a retro influence to allow it to fit in quite nicely. Between the design of the pen and the Liliput’s patina that has built up over the months, I think the nib’s visuals go along with the slightly “retro-inspired and well loved” aesthetic the Liliput has going on. And while in most things I’d prefer a more minimal look, the Liliput’s nib strikes a soft spot with me. I don’t mind how it looks at all. As far as Field Notes are concerned, the Liliput performs best on papers found in editions like America the Beautiful and Shelterwood. The Liliput’s extra fine nibs also perform comfortably on Field Notes Brand’s latest paper in the Workshop Companion edition, but the lowest quality paper found in most Field Notes editions occasionally has issues with the Liliput’s wet ink flow. As far as paper goes, I’ve used the Liliput on everything from receipts, to school assignments, to important documents. By far the place I find myself writing most of the time is in Field Notes memo books. 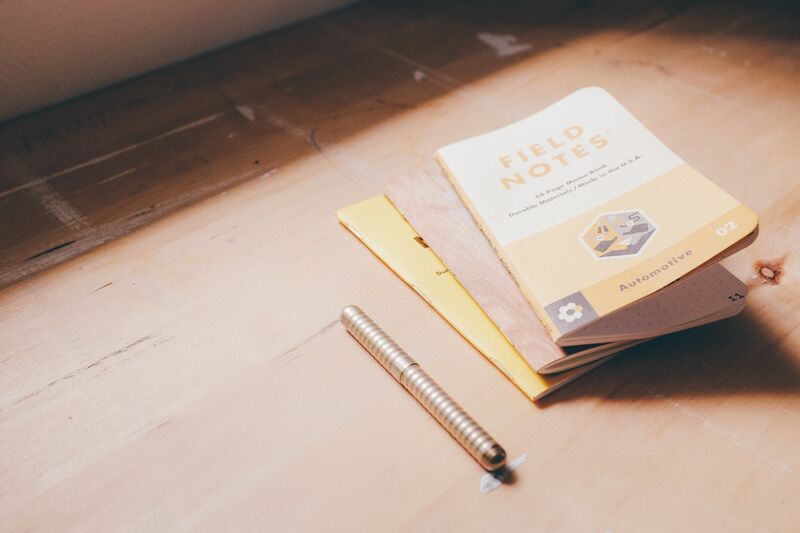 Field Notes have employed a small variety of different paper weights and stocks throughout their COLORS editions. 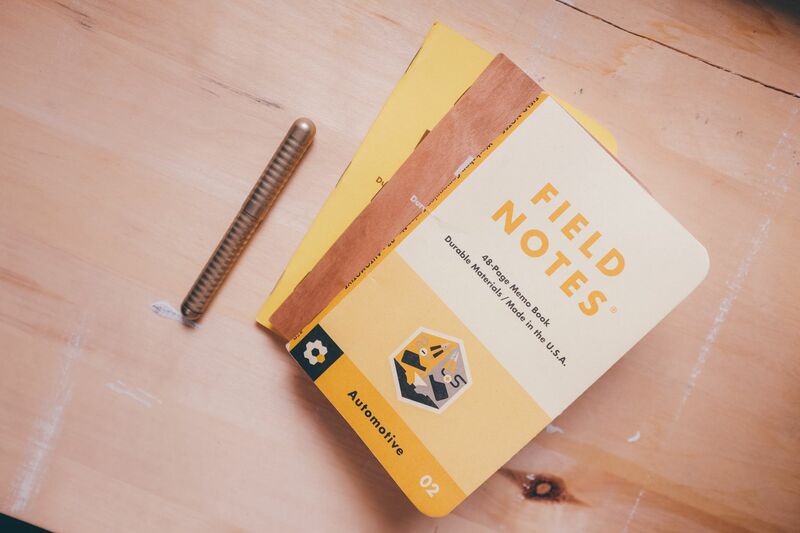 Across Field Notes papers, the Liliput performs admirably. On Field Notes’ bone-standard 50#T stock paper, the Liliput performs pretty well on what could easily be considered low-quality paper. The nib writes smoothly with almost too much ink-flow. While there’s no feathering even on this low-end paper, turn the page over and you’ll find plenty of bleed-through on the backside. 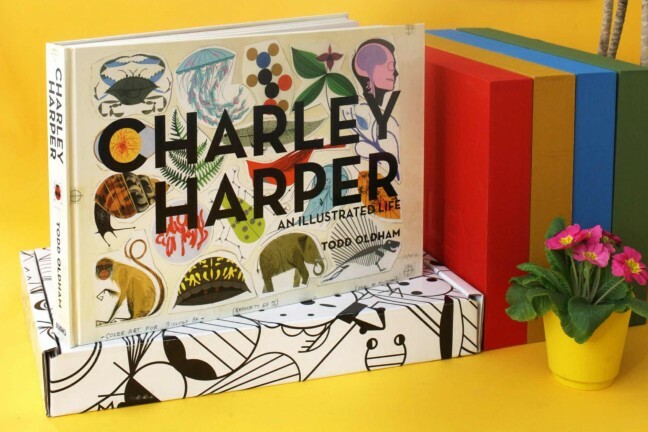 Introduced in Field Notes’ America the Beautiful edition, this thicker paper stock is where the Liliput really shines. 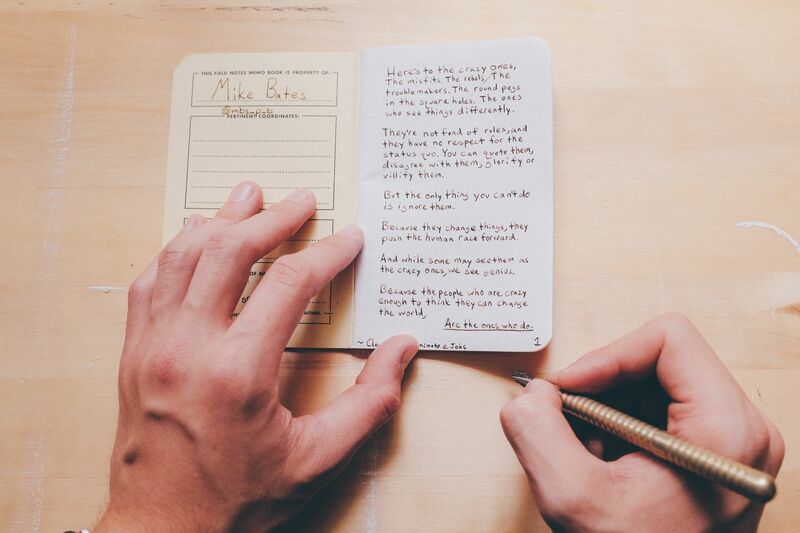 The writing experience is still smooth and wet, but turning the page won’t display any bleed-through. Excellent performance. The latest paper stock to be used in a COLORS release, the Kraft-Tone is a good example of paper that’s just a little too-thick for the Liliput’s extra-fine nib to handle. While bleed-through performance is still excellent, the writing experience on the thickest stock I tested begins to become a little scratchy, and the nib writes ever so slightly drier than on the other two papers I tested. It’s still a decent writing experience, but the extra-fine Liliput is better served by a little thinner stock like the above-mentioned Finch 70#T. Really, the Liliput performs exactly how an every-day fountain pen should. It won’t perform well on thinner stocks of paper or plastic labels that aren’t ink-friendly, but give it any half-decent piece of paper and you’ll be good to go. While it sounds strange, I think Kaweco nailed a perfect balance with the Liliput’s writing experience. If the Liliput was any higher-end, it wouldn’t be well suited to the sorts of everyday applications a pocket fountain pen finds itself in, and if it was any lower-end then it might lose the point of the pen entirely. Even here Kaweco managed to refine the Liliput down to exactly the role it needed to fill. No more, and no less. 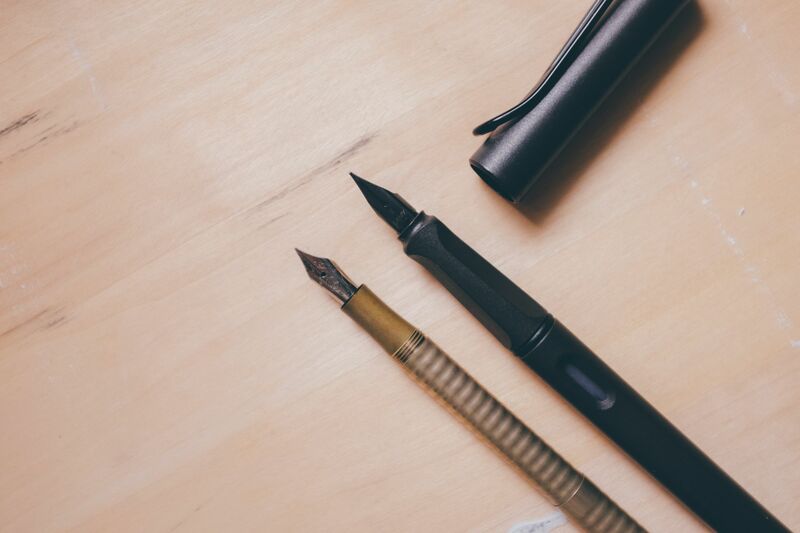 The Kaweco Liliput starts at an MSRP of $55 for the Black and Silver aluminum models. 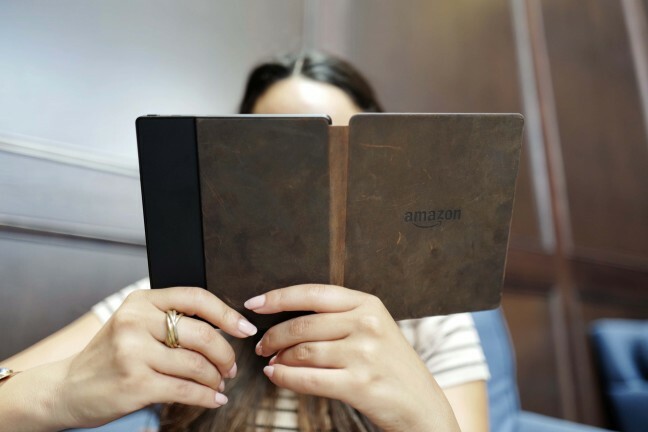 Some of the more expensive metal editions can range from around $100 with the Brass and Copper models (although they run only $83 on Amazon right now), to almost $170 with the FireBlue finish. Simply put, the Liliput probably isn’t going to be the most appealing starter-pen for a first-time fountain pen user. It’s not overly inexpensive and itâs very small. If portability isn’t a requirement, there are better pens to start off within this price range. However, even among Kaweco’s other excellent offerings, I’d say the Liliput holds a place of it’s own. At $55 â or even the more expensive $100 price point â there simply isn’t another fountain pen that can match its portability, quality materials, and writing experience. There are many everyday carry pens on the market, and there are also many fountain pens which have a better writing experience or a higher build quality. The Kaweco Liliput balances all those characteristics well and performs admirably as an everyday carry fountain pen. I know there are other, nicer fountain pens out there. I’ve looked at several of them and have been tempted to buy them even in the time since I purchased my Liliput. The truth of the matter is though, that unless one of them is small enough, durable enough, and high-quality enough to replace the Liliput’s place in my pocket, I can’t see myself buying one of them. Having a fountain pen with me every day, and near-immediately accessible at any time is something I can’t see myself giving up anytime soon. The Liliput has firmly cemented what’s important to me when buying and using a fountain pen, and I’d argue that if more people gave it a try, they’d come to see it that way too.